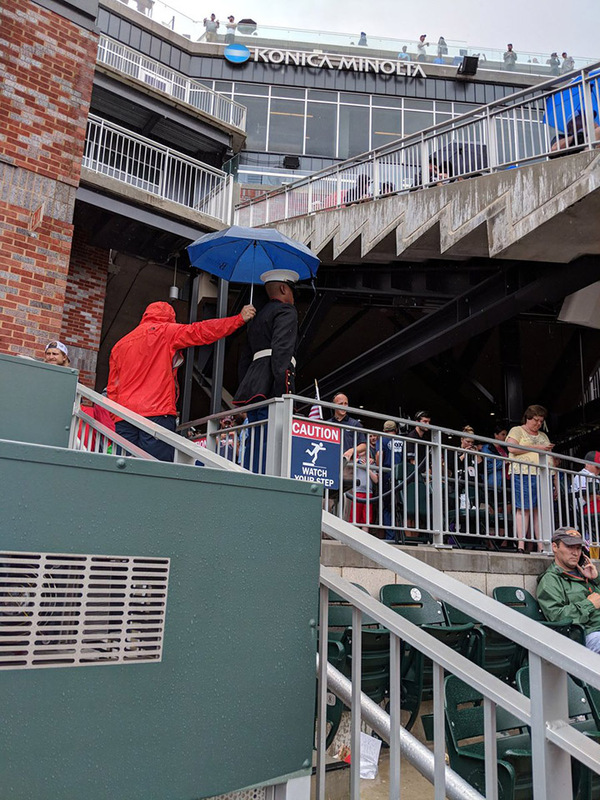 A man stood in the rain to hold an umbrella over a Junior ROTC cadet during an Atlanta Braves game on Memorial Day. “Respect,” the Braves organization simply captioned the photo on Twitter. 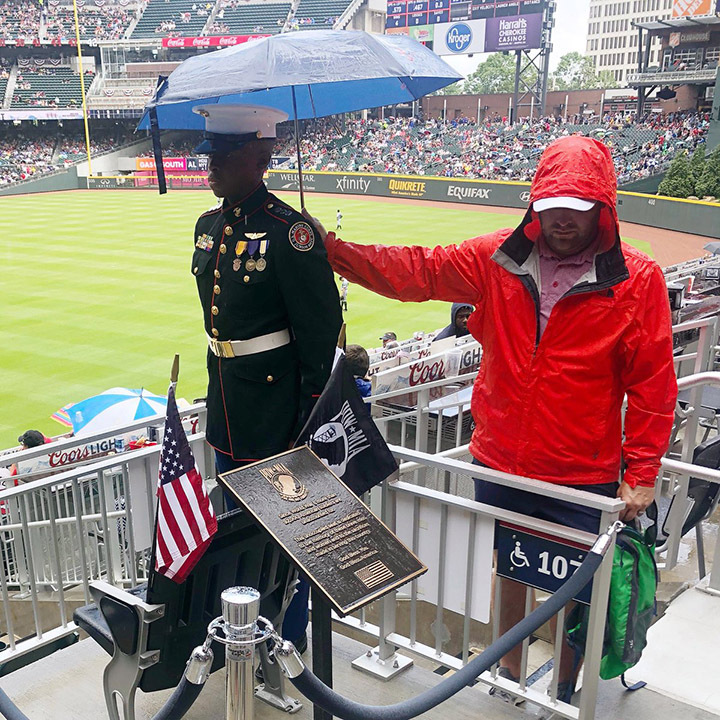 According WSB-TV in Atlanta, the moment occurred during the third inning when the stadium paused to pay tribute to prisoners of war or military personnel missing in action at the chair, which stays permanently empty. “They sacrifice so much for us, we can sacrifice for them too!! !” Twitter user @chellebelle011 wrote. “THAT is what America is about. Beautiful!” tweeted another.